Being arrested and facing criminal charges can be a terrifying experience. To make matters worse, if your case is mishandled, you could do jail or prison time—a devastating experience for you and your family. That’s why choosing the right criminal defense attorney is crucial to the outcome of your case and your future. Glendale Law Group believes you deserve the best possible criminal defense at an affordable price. When we represent you, our first priority is keeping you out of jail. We move quickly and aggressively to analyze your case, devise the right defense strategies and protect your rights. We also always prepare a case for trial. When prosecutors know beforehand that we are willing to try your case, they’re more likely to agree on a better deal for you. And because we know the panic and confusion a criminal case can create, we’re highly responsive, working closely with you to guide you through the process, answer your questions and keep you informed every step of the way. Glendale Law Group can defend you in any criminal defense matter, including those listed below. Call us for a free consultation with one of our experienced criminal defense attorneys. A robbery occurs when a person forcibly takes property from another person. Charged as either first or second degree robbery, this offense involves taking property directly from a victim while in his or her direct presence. Penalties for armed robbery can include jail time of up to nine years as well as probation and restitution. Fines may also be imposed that can reach up to $20,000. There are even harsher penalties when a weapon is used to commit the crime. In such cases, the person committing the crime may be sentenced to up to 20 years in prison. However, if a person is killed during the crime or if serious bodily injury was inflicted, the person committing the crime may be sentenced to between 25 years and life in prison. Armed robbery is a very serious criminal offense and anyone charged with armed robbery is recommended to secure the services of a competent criminal defense attorney. At Glendale Law Group, APC, our attorneys will do their very best to obtain the optimal results for anyone charged with this serious crime. Taking a swing at a person without actually coming into contact with the person is a simple example of assault. Threatening to hit someone with any object also is an assault. The identity of the person is a crucial factor in determining the magnitude of the offense and the possible punishment. If assault is committed against anyone who is engaged in performing his/her job related duties, penalties are harsher than when simple assault is committed. If you have been charged with assault, immediately call Glendale Law Group. Our criminal defense attorneys understand the serious nature of this offense and how to resolve your case. Our attorneys will help you understand the nature of the charges filed against you, any available defenses, what plea bargains are likely to be offered, and what is expected if your case goes to trial. Battery is defined as any willful and/or unlawful touch that is harmful or offensive. The slightest touch can trigger a battery allegation if it is done in an angry or offensive manner. If the battered person is seriously hurt, the criminal case may be prosecuted under Penal Code § 243(d) as a battery causing serious bodily injury, otherwise known as an aggravated battery. As with assault, the identity of the person against whom a crime is committed is an important factor in determining the severity of the crime and the possible punishment. If battery is committed against anyone who is engaged in performing his/her job related duties, penalties are harsher than when a simple battery is committed. There are several available defenses that can be effectively utilized, such as consent to the act or activity, self-defense, defense of another person, or defense of a home or personal property. If you have been charged with battery, immediately call Glendale Law Group. Our criminal defense attorneys understand the serious nature of this offense and how to resolve your case. Our attorneys will help you understand the nature of the charges filed against you, any available defenses, what plea bargains are likely to be offered, and what is expected if your case goes to trial. A bench warrant is an arrest order that is commonly issued by a judge against the defendant in a criminal case when the defendant fails to comply with a previously issued order by a judge or law enforcement agent. A bench warrant is typically issued in the case of a failure to appear for a court hearing or trial. A bench warrant can also be issued when a judge ordered a person to personally appear in court at a designated time and place, but the person did not. Penal Code § 978.5(1). A bench warrant may also be issued when someone is released from custody on his own recognizance, commonly referred as “OR” on a promise to appear. In serious criminal cases, a failure to appear to a hearing or trial will most likely lead to an arrest warrant, which would trigger immediate attempts by law enforcement agents to find and jail the defendant. However, a bench warrant usually does not trigger an immediate arrest. Instead, your name will go into the law enforcement computer system and upon contact with law enforcement for any reason, you will generally be taken into custody for the outstanding bench warrant. If you have an outstanding bench warrant, it is important that you contact a criminal defense attorney at Glendale Law Group immediately. You are at risk of being taken into custody if you voluntarily turn yourself in to the court. At Glendale Law Group we may be able to have your bench warrant recalled and quashed without you personally appearing in court. Generally, burglary is the illegal entry into a building with intent to commit a crime, especially theft. To prove a charge of burglary, a prosecutor must show that the defendant entered a property of another without permission and intended to commit a crime after entering the property. California state laws establish two types of burglary: first-degree and second-degree. State law defines first-degree burglary as any burglary of an inhabited dwelling, which means the property was used as a dwelling at the time of the unlawful entry. California law also includes properties abandoned due to a natural disaster or local emergency as currently inhabited properties. Any burglary that cannot be charged as first-degree will proceed as a case of second-degree burglary. The first degree burglary conviction may result in a sentence of imprisonment in state prison for a term of from two to six years. However, a conviction for burglary in the second degree, cannot exceed a term of imprisonment in county jail for more than one year. State laws are constantly changing. Contact Glendale Law Group for information on recent changes in the law. We can be reached at 818-856-0099 or you can send us a message via our website. Carjacking is a serious crime and takes place when a person’s vehicle is taken from their immediate possession with the use of force, fear or intimidation. Carjacking normally triggers a felony charge and those found guilty could face up to nine years in prison. Under Penal Code section 12022.53, the sentence can be longer where a weapon was involved. To learn more about the crime of carjacking and the defenses, contact the criminal defense attorneys at Glendale Law Group today for a free consultation. Our attorneys will thoroughly review the facts of your case, and do their best to reduce your charges, lessen imposed penalties, or dismiss the case completely. With the attorneys at Glendale Law Group, you are never alone. A person can be charged with criminal trespass when he or she enters or remains on someone else’s property without permission or a right to do so. There are several types of punishment a trespasser could receive if found guilty. In most cases, charges for trespass are filed as a misdemeanor. If charges are filed as a misdemeanor, the person can receive a maximum sentence of six months in county jail and fines of up to $1,000. If the event of an “aggravated trespass”, the charges may be filed as a felony. In this situation, the punishment may carry a jail sentence of several years. Certain kinds of trespass violations may also result in charges being filed as an infraction, where the penalties usually consist of only a small fine. There are many defenses available for those charged with criminal trespass. If you or loved one is charged with criminal trespass, we invite you to contact us at Glendale Law Group to ensure you are adequately and aggressively represented. One can be charged with “Disturbing the Peace” for several reasons, ranging from a verbal argument, a physical fight or the use of offensive words. The punishment for disturbing the peace offense can range from being issued an infraction ticket, punishable by a fine with no jail time, or far more serious charge of a misdemeanor, which can result in jail time. In addition, it is also not uncommon to be charged with more serious crimes in addition to disturbing the peace. If defendant is proven to have done any of the following offenses, he or she may be charged with up to 90 days in county jail, up to $400 in fines, or jail time and a fine. Punishable conducts include, unlawfully fighting or challenging someone to a fight in a public place, disturbing others with loud or malicious noise, using offensive words in a public place. Generally, it is fairly easy to be charged with this type of crime due to the somewhat vague language and elements of this crime. There are several defenses and strategies that the attorneys at Glendale Law Group can utilize to get the case dismissed or reduced. If you have been charged with this or any other crime, we can effectively assert all your defenses and offer the right evidence, resulting in dismissal of your case or a reduced punishment. California identifies domestic violence when an individual commits a criminal act within one of the types of relationships specified by the California Penal Code: spouse or former spouse; cohabitant or former cohabitant in a home; a parent with whom the individual has a child; or a partner in a dating relationship. It is illegal to commit battery, assault against anyone, but if one commits any of the referenced offenses against spouse or former spouse; cohabitant or former cohabitant in a home; a parent with whom the individual has a child; or a partner in a dating relationship, domestic violence laws allows prosecutors to ask for much more severe punishment. Punishment for this crime will depend on the seriousness of the inflicted injuries and whether defendant has prior criminal history. If you or loved one is charged with domestic violence, we invite you to contact us at Glendale Law Group. We can effectively assert all your defenses and offer the right evidence, resulting in dismissal of your case or a reduced punishment. DUI stands for Driving Under the Influence of drugs or alcohol and DWI stands for driving while intoxicated. Although these offenses can be treated as misdemeanors, under certain circumstances the crime can be charged as a felony, which is far more serious. Being convicted of driving under the influence can also impact your life in ways you may not be aware of, including loss of employment, prevention of employment in certain jobs, higher insurance rates, serious financial setbacks, personal and family embarrassment, and having that conviction on your driving records for years―if not forever. To prove a person is guilty of the offense of driving under the influence, the following elements must be proven: The person drove a vehicle, that is, steered and controlled it while it was moving, the person was “under the influence,” meaning that his or her ability to drive safely was affected to an appreciable degree by having drunk an alcoholic beverage, taken a drug, or combined alcohol and drugs. Following a DUI booking and release, the individual has two separate proceedings to deal with: (1) the administrative license suspension hearing (which must be requested from DMV within 10 calendar days from the time of arrest and release or the right is waived) and (2) the criminal prosecution in court filed by the state. At Glendale Law Group, our attorneys can identify police mistakes, unreliable breath, blood, and urine tests, and other legal issues that often make huge difference between successful and unsuccessful disposition of your case. As in any other type of criminal matter we handle, our attorneys prepare every case for potential trial because one cannot successfully argue a case if he or she is not ready to try the case. It is hardly possible to get a good deal from a prosecutor if the prosecutor knows in advance that the negotiating attorney will not try the case. With our attorneys at Glendale Law Group, you are never alone. Expungement refers to a process of “cleaning” one’s criminal record. In this process the convicted individual requests that the court reopen his or her criminal case, withdraw the plea or guilty verdict, dismiss the charges that was brought against the individual, and re-close the case without a conviction. In effect, the person is no longer a convicted person. Fraud involves using a lie, deception, or dishonesty in an attempt to gain some kind of benefit. Fraud can also be a civil wrong, which means that victims of the fraud can bring a civil lawsuit for money damages and seek compensation for the losses they suffered as a result of the fraud. While civil fraud charges does not carry the possibility of jail time, conviction of criminal fraud charges can result in jail time. 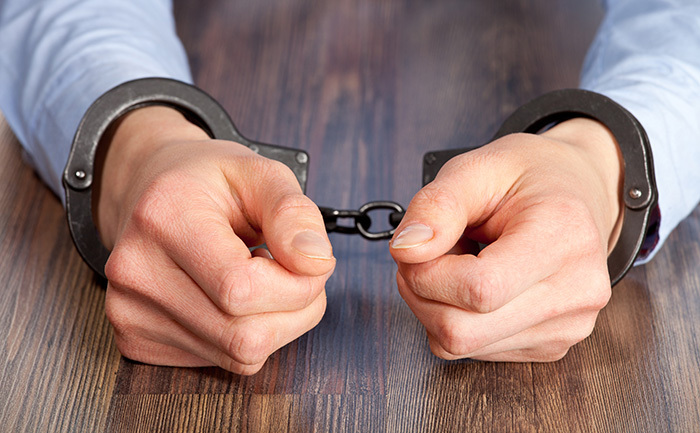 Committing any type of fraud can lead to some serious criminal penalties. Fraud related crimes can be prosecuted as either felony or misdemeanor. You should speak to one of our attorneys as soon as you are investigated or charged with any type of fraud crime. In California, Grand Theft is a “wobbler,” a criminal offense that can be charged as a misdemeanor or a felony depending on the facts and circumstances of your case. The prosecutor has the discretion to file grand theft charges as either misdemeanors or felonies. Under Section 487 of the California Penal Code, grand theft is an unlawful taking in any of the following, with the intent to steal: Money, labor, or property with a value of over $950. Property valued at $950 or less would be charged as a misdemeanor, commonly known as Petty Theft. The determination whether to file charges as petty theft or grand theft depends on the reasonable and fair market value of the property at the moment it was legally taken. When an item was illegally taken from retail stores the value of the property is usually the retail price of the item taken plus applicable tax. There are several defenses available for those charged with Grand theft, such as consent, property (illegally taken item is not identifiable as property), claim of right, etc. Contact Glendale Law Group to set up a free confidential consultation to evaluate your case. Petty theft is a crime against someone’s property. This crime is also referred to as shoplifting. Anyone who takes property of another (up to $950) without paying for it can be charged with petty theft or shoplifting. The classic example of shoplifting or petty theft is when someone takes a merchandise from a store without paying for it. Petty theft in California is a misdemeanor. If a defendant is found guilty and convicted of petty theft they could face up to six months in county jail, up to $1,000 in fines and summary (informal) probation. Generally, if petty theft is a defendant’s first theft related crime, they will usually serve little or no jail time. Also, if it is a defendant’s first theft related crime and the stolen merchandise is valued at fifty dollars or less, it is possible to have the crime reduced to an infraction, in which case the defendant could face up to $250 in fines, some community service and/or anti-theft classes, and to compensate the owner of the stolen property. Petty theft convictions usually very difficult to fight on your own because in most cases prosecutors possess strong evidence against defendant, such as video surveillance, eye witnesses and/or police reports. If you or loved one is charged with petty theft or shoplifting, we invite you to contact us at Glendale Law Group, where you will get the high-quality representation you need to fight the charges against you to get your charges reduced or dropped. We can be reached at 818-856-0099 or you can send us a message via our website. Probation as a type of supervisory sentence (set of conditions) that a judge may impose either to replace or in addition to a jail time. Revoke the probation and send the person to jail. Prostitution is defined as engaging in a sexual act in exchange for money or other consideration. Defendant can be convicted of engaging in the act of prostitution if he or she either (1) engaged in the act of prostitution or (2) agreed to or offered to engage in a sexual act in exchange for money or other consideration. Offering to engage in a sexual act in exchange for valuable consideration is known as solicitation. Prostitution is simply defined as engaging in a sexual act in exchange for money or other items of value or services. There are several defenses that defendant can assert to charges of prostitution or solicitation, such as Entrapment, Mistake, Insufficient Evidence, etc. If you or loved ones is facing possible charges of solicitation of prostitution, it is important to get in touch with our criminal defense lawyers as soon as possible. We can be reached at 818-856-0099 or you can send us a message via our website. In order to lawfully operate as a taxi cab one must be registered with local city or county. If one chooses to use his or her own vehicle to transport passengers as a taxi the person will be in violation of state and or local law. These drivers are commonly known as bandit taxis or bandit cabs and often have no insurance or even no license to operate a motor vehicle. If you have been arrested or have been cited by the Department of Transportation for violating Los Angeles Municipal Code Sections 71.02(A) and 71.03(d), or corresponding codes of other jurisdictions, there may be some defenses available to you such as the accused may have only requested reimbursement of gas money, the taxi driver was rendering assistance, or the accused was entrapped, that is to say was lured into the commission of the crime not contemplated by him, for the purpose of prosecuting the person. Anyone who maliciously commits one of three acts on another’s property is guilty of vandalism: Deface property with graffiti or some other material; Damage the property of another; OR destroy the property of another. Vandalism is classified as a “wobbler” crime – a criminal offense that can be charged as a misdemeanor or a felony depending on the facts and circumstances of your case. A felony conviction for vandalism can be punished by up to three years in county jail. A misdemeanor conviction for vandalism can be punished by up to one year in county jail. Whether you are able to obtain an outcome which includes no jail time will often times depend on the quality of your legal representation. If you or loved one is charged with vandalism, we invite you to contact us at Glendale Law Group, where you will get the high-quality representation you need to fight the charges against you. We can be reached at 818-856-0099 or you can send us a message via our website.